File pic; Beitbridge Border Post. 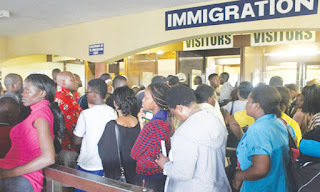 BEITBRIDGE – A retired assistant regional Immigration officer Notius Tarisai has told a Parliament Committee on budget to include the construction of two new border posts in the 2019 financial year budget as the only way to decongest Beitbridge. 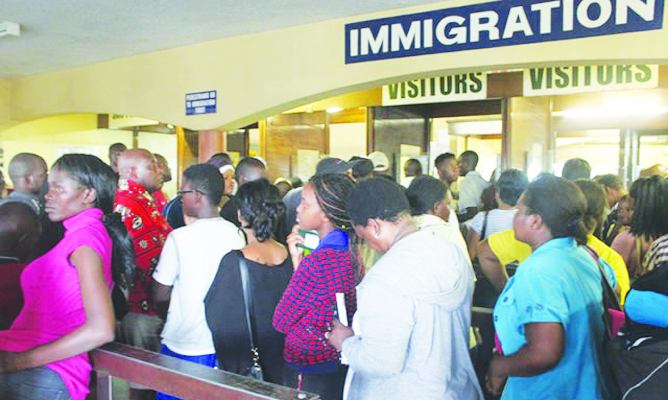 Tarisai, a respected veteran immigration officer told the at the public consultations conducted at Vhembe Secondary in Beitbridge that congestion at Beitbridge Border post will not end unless two more border posts; one at Mapungubwe, approximately 100kms west of Beitbridge and the other at Chitulipasi, 100 kms East of Beitbridge near Chikwalakwala are established. He said congestion at the border post has been misconstrued to lack of commitment and space when in actual fact the border is the busiest in Africa. The projects were approved by both governments in 2016. Tarisai said that the new border posts would enhance separation of traffic by re-directing east bound traffic; Mozambique, Eastern Highlands, Malawi, Congo and Chiredzi going through Chitulipasi. "Before I retired, I was part and parcel of information exchange between officials from Zimbabwe and South Africa on the establishment of the two borders posts; one at Mapungubwe which is to the west of Beitbridge and the other at Chitulipasi, East of Beitbridge near Chikwalakwala. “There are over three million Zimbabweans in South Africa who every holiday and festive season come back home. Zimra deploys 600 officers and the question is, do we have enough space at Beitbridge for all those people? The answer is no, space can only be created by establishing two more border posts. This idea was mine and now that I am into retirement I am very ready to assist Government with its implementation including feasibility studies," said Tarisai. "We must get the parity, Botswana has Kazungula border, Pandamatenga, Maitengwe, Plumtree, Mpoengs, Mlampapele whilst Mozambique has Sango border post, Cashel, Mt Selinda, Forbes, Nyamapanda, Kanyemba and Mukumbura when we have only one border that gets to South Africa," he said. Tarisai said 75 percent of Zimbabwean exports are processed through one border. "Why don’t we open two more border posts? Seeing that we have more human trafficking and more vehicles passing through to South Africa, decongestion can only be addressed through establishment of two more border posts," he said. Beitbridge Municipality Town Clerk Loud Ramakgapola also made similar submissions before the Committee during the budget consultations. "In any case why would Zimbabwe have one border with South Africa when countries like Mozambique have plenty? It’ a project that was already approved," he said.